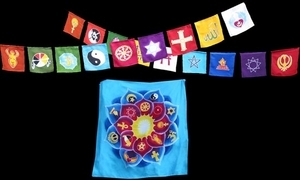 Express your dedication to the understanding between world religions with this complete set of world religions flags and lotus banner. Included in this extraordinary package are two strings of flags and a beautiful lotus banner. The interfaith flags and multifaith flags combined together create a series of 18 different faith symbols along with the lotus banner which represents 16 symbols. 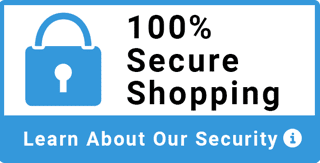 For an itemized list of the religions represented and full product descriptions, please see the individual products. This world religion flags and lotus banner package is ideal for creating sacred space and teaching religious harmony in schools, interfaith gatherings or any place of worship where the world religions are honored.